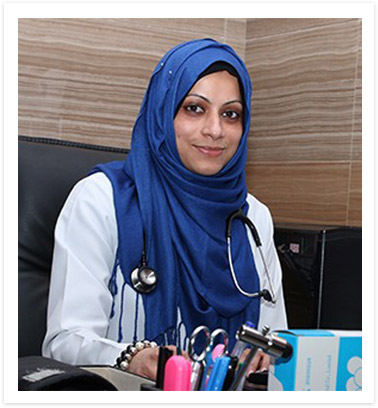 Graduated as Doctor of Medicine in General Medicine, from one of the top Universities of Central Europe, she has the experience in General Practice from Europe, England, Scotland and India. With a total of 12 years of experience in this field, she has been trained in Geriatrics, Public health, Infectious Diseases and non-invasive Dermatology including Lasers, Dermabrasions and other skin conditions. She is well versed in English, Hindi and Malayalam, and familiarity with Czech and Tamil, which has been very conducive for her practice. Association and familiarity with different people from different cultures and nationalities, from different walks of life, has been an added advantage to modify her approach and treatment plans according to the individual needs and satisfaction. Practicing medicine is one of her passions and she always look forward to learn more and to lift both patients' health as well as their spirits. She heals with her Smile first and then goes ahead to treat the ailment.